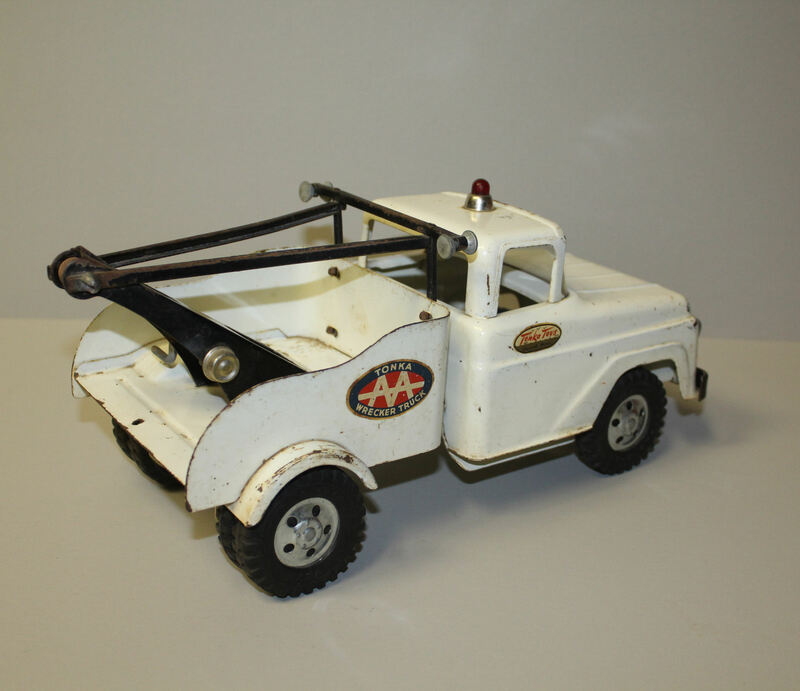 All original Tonka Toys AA Wrecker Toy Truck made by Tonka Toys – Mound, Minnesota. 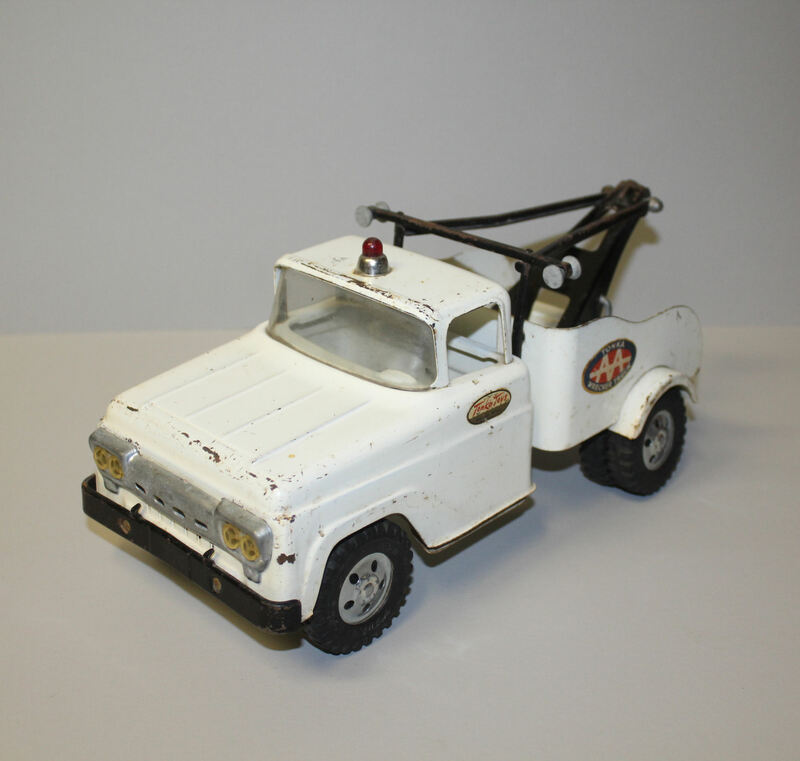 Notice the original decals and the good original condition of this toy truck. The wheels are also marked, ‘Tonka Toys U.S.A.’. This toy measures 13 1/2″ long is 6″ high and 6 1/4″ wide.